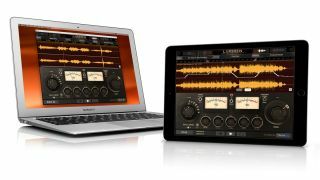 Lurssen Mastering Console is a cross-platform concoction. Billed as a "revolutionary mastering product" at this year's NAMM Show, the release status of the PC/Mac version of IK Multimedia's Lurssen Mastering Console software has now changed to 'available'. It joins the already-launched iPad version on the market. What's new here, we're told, is the approach that's been taken: the software is designed to be streamlined and easy to use, being based on 20 mastering templates (known as Styles) that can be called up instantly. These are genre-based, it seems, and were "crafted and set up" by Gavin Lurssen, Reuben Cohen and the team of engineers at Lurssen Mastering in Los Angeles. The programming know-how comes from IK, of course: each Style comprises a complete mastering chain, and we're assured that the "nuance and interaction" between each of the processors in this chain has been recreated here, too. The Styles are said to be preconfigured to deliver "professional" mastering results, but once you've selected one you can make tweaks using an Input Drive knob, 5-band EQ and special 'Push' knob. We're not totally sure how this works, but IK says that it enables users "to 'ride' the flow of a song, making subtle and uniform EQ adjustments to enhance dynamics and create emotion throughout the song". Lurssen Mastering Console is available now from the IK Multimedia website at the introductory price of €200/$200 . It works standalone and as a plugin. The iPad version can be downloaded from the Apple App Store. The app is free, but content has to be unlocked using in-app purchases (you can have everything for €100/¢100).